Improving the qualities of fabrics to favor their noise-absorption capacity; developing techniques for the control and study of marine species without interfering with the environment; real-time monitoring of bone regeneration in dental implantology; creating new systems for the treatment of neurodegenerative diseases; increasing the detection capabilities of cosmic neutrinos from astronomical sources… these are the scientific contributions carried out in the five research projects backed by Campus Gandia of the Universitat Politècnica de València, that took home awards in the 2018 edition of the Tecniacústica Conference. The Tecniacústica Conference is organized by the Spanish Acoustic Society (SEA), the leading association in Spain for scientific work and dissemination in the field of acoustics. On this occasion, the conference was held jointly with the FIA ​​2018: XI Ibero-American Acoustics Conference. 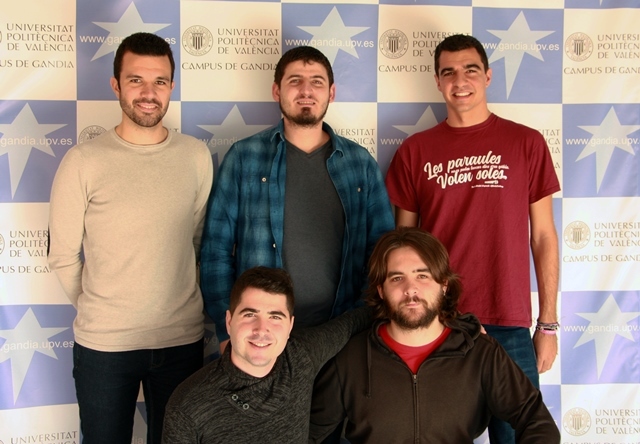 The acoustics research staff at Campus Gandia has received successive prizes in the different editions of Tecniacústica, but has broken its own record this time, obtaining five awards for the work carried out by the young researchers. Algunos de los colaboradores de los trabajos premiados fueron, curiosamente, reconocidos a su vez por la SEA cuando eran investigadores junior. Curiously enough, some of the team members of the prized works were previously awarded by the SEA when they were junior researchers. 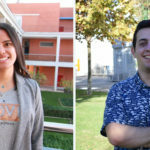 Many of the winners are Campus Gandia graduates, either in the Bachelor’s Degree in Telecommunications Systems Engineering Sound and Image, or in the Master’s Degree in Acoustic Engineering. Andrés Morillo is the other winner of the Andrés Lara Award for Young Researchers. His study was supervised by Isabel Pérez-Arjona, Víctor Espinosa, Susana Llorens, Vicent Puig and Miguel Rodilla. Josep Rodríguez Sendra won the second prize of the Andrés Lara Award for developing a method to monitor the bone cement curing process through ultrasonic backscatter analysis. The work was carried out jointly with Noé Jiménez, Francisco Camarena and Rubén Picó and Joan Faus, Doctor in Dentistry. Sergio Jiménez Gambín won the UC3M Luis de Camoens Chair Award for the study “Effects of the Method for Obtaining the Acoustic Properties of Human Skull in the Focused Ultrasound Propagation”. This work develops a line of research by doctors Francisco Camarena and Noé Jiménez, to combine focused ultrasound and micro-bubbles for local, transient, non-invasive and safe treatment of neurodegenerative diseases. Dídac Diego Tortosa also won the second prize of the Andrés Lara Award for a work in which different methods of signal processing are presented in order to optimize the acoustic detection of the acoustic positioning system of the KM3NeT neutrino telescope. The work develops a line of research by UPV researchers Miguel Ardid and Juan Antonio Martínez Mora. Communication and Marketing Officer, Campus Gandia.